No one knows exactly when the theater building was erected. 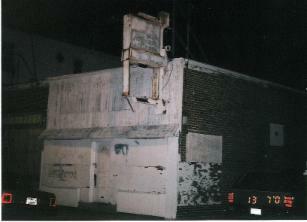 The structure, circa 1915, was built as one of three storefronts. At the time of its first use, enterprises were established to fill the void of permanent showcases for the new celluloid photoplays, developed by the “Wizard of Menlo Park," Thomas Edison. The theater’s life as a Nickelodeon was very short, at most a year or perchance only a summer season. It embarked upon its alleged operation as almost an afterthought of a vanquishing institution, sitting on the dawn of the great movie palace age. 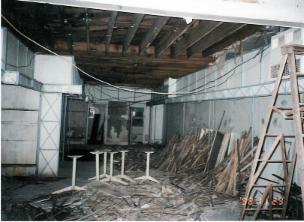 Through the years, the building has gone through numerous occupancies, transformations, and finally stood abandoned for years. In 1998 the building was purchased by the Penkalskyj family. They initiated a half decade-long laborious process to recompose the theater. The project incorporated available original detail with custom struck ornamentation from the original dies of the early 1900s. All this was merged with modernized conveniences and updated projection. In local fare the building is also remembered as the birthplace of Harry Keating’s song "I'm Wild About Wildwood." 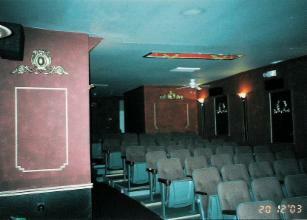 Today the theater is well noted for not only its nostalgia but its venue. From silent photoplays, through the independents, to first-run pictures -- all are presented on the Sea Theater’s screen. Vintage shorts, serials and cartoons are no strangers to the menu. While the staples of unique programming remain unchanged, the theater’s docket is constantly enriched with lectures, live performances, screenings of works by independent and upcoming filmmakers, premiers and special cinematic and entertainment events.